One major role of any wireless communication engineer is to make sure that every single computer send and receive information basically known as packet and one way to do this is by assigning IP address to that computer, an IP address can be assign into ways either automatically using the DHCP protocol or statically by manually inputting all parameters into that computer. In DHCP protocol the router is set automatically to all computers and devices to acquire IP address, Gateways, and DNS automatically all the user need do is to scan and connect to the net work. A router has a character that says that if a router receives a packet it will look for the route to exit or send the packet out of the router interface, if theses information are not found in the routing table the router will automatically discard the information, in stressing this a little bit I want to take an example : now assuming your a courier delivery agent and then you have a parse that is in a brown envelop you take it without proper verification just on your way you discovered that there is no receiver or sender address you try opening the envelop only to see ‘hello kelly I just want to know how your doing’, this will be a confusing condition for the delivery agent and finally he will have to return the parsel back to the company and next the courier company will send this package to their dust bin reason being because their is no source and destination address, this exactly what happens when IP addresses are not configure or not properly configured in a network. 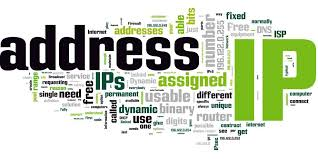 In a simple definition, An IP address is a 32bit address characters specially assigned to host for its identification on a network, example 192.168.1.3. This is how to configure static IP on a host in any network. you will notice that my gateway is 192.168.1.1 this is because it is the address on the router interface which take me to the ISP for me to access the cloud and my internet service and also through which the router will also get back to me with my packages, the DNS which means domain name server translates the host into an IP address, for example from a command line you ping let’s say ping gmail.com -t you will get reply containing IP’s this is what a dns does we will discus this in full in subsequent posts. When addressing IP on a network there are certain measures to be taken to make sure your addresses are in are in appropriate scheme compared to the kind of network your have and access given to that host. Private IP: These are addresses given to organization whose uses nodes in acquiring IP connectivity within enterprise network hence they not routable neither do they cause conflict on the internet. Public IP: These are addresses that are shared on the internet and distributed in blocks by ICANN. Loop back addresses : These are reserved addresses use for testing purposes only. number of nodes per network : 16,777214.
number of nodes per network :65,534.
network ID: first two octet. network ID :first three octet. Please drop your comments on the comment box and don’t forget to subscribe to our channel for latest updates on configurations and Tech Tricks. ← All Time Exclusive Blog Trending Topics.